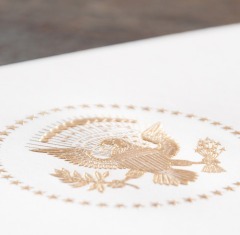 We offer you the same engraved business card printing, engraved note cards, engraved letterhead and stationary, and personalized thank you cards we have printed for presidents, congressmen, senators, and justices for almost 100 years. We offer offset printing or engraving, but engraved printing is our forte. Some call us the engraver’s engraver. We specialize in high quality engraved letterhead stationary and envelopes for attachés, embassies, lawyers, businesses, and special occasions such as engraved wedding invitations, and engraved calling cards. 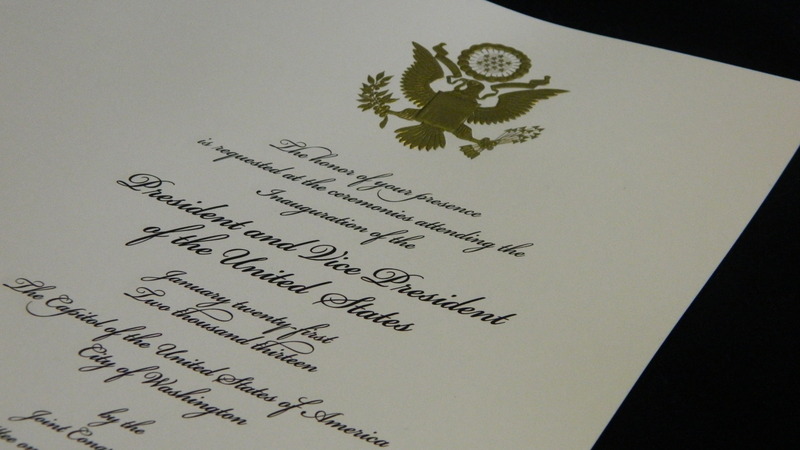 We also print engraved envelopes, engraved certificates, engraved brochures, engraved calling cards, engraved announcements, engraved invitations, wedding printing and engraved patent file jackets. Engraved Wedding invitations, showers, and thank you cards our specialty. We even specialize in wedding invitation papers, and stock the finest paper produced by Crane, Fox River, Strathmore and Gilbert. We don’t shy from rushed job but we can pre-stock paper in large quantities to allow you to order engraved printing at the lowest possible cost. We have engraved and embossed printing samples on our website, but nothing takes the place of seeing the original engraved or embossed letterhead or business card. If the medium is part of the message, then it has to be engraved. Call me, James Pullins, at (301) 277-2211. I’m the owner of The Webb Company, Inc. and I promise to answer any questions and help you with your order. Promotional Ideas that fit any Budget!